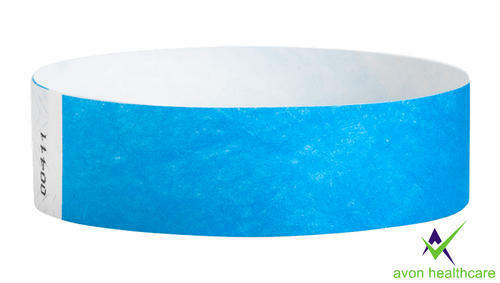 We are at driving position in the industry as the manufacturer and wholesaler of Wrist Bands. We use innovative technology and excellent machinery to review these products in adherence to global quality standards. We are at driving position in the industry as the manufacturer, trader, supplier and wholesaler of Wrist Bands. Our product range essentially includes of Paper Wrist Band, Hospital Wrist Band, Patient Id Wrist Band, Silicon Rubber Wrist Band & Fabric Wrist Band. We use innovative technology and excellent machinery to review these products in adherence to global quality standards.